The website www.mtgox.com stopped displaying any content on Tuesday. It’s unclear if user funds on the exchange are secure. “As with any new industry, there are certain bad actors that need to be weeded out, and that is what we are seeing today,” said the statement, signed by the leaders of Coinbase, Kraken, Bitstamp, BTC China, Blockchain and Circle. Mt. 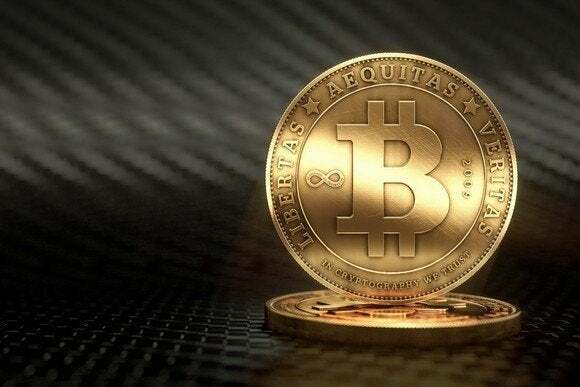 Gox had previously said it had suspended bitcoin withdrawals to outside addresses due to a technical issue known as “transaction malleability,” which could allow for fraudulent exploitation of transaction records. A spokesman for Japan’s Financial Services Agency, which oversees banking, securities and exchange and insurance, said the agency does not have jurisdiction over bitcoin exchanges. “Today could be the last day of the Mt. Gox saga,” the Mt. 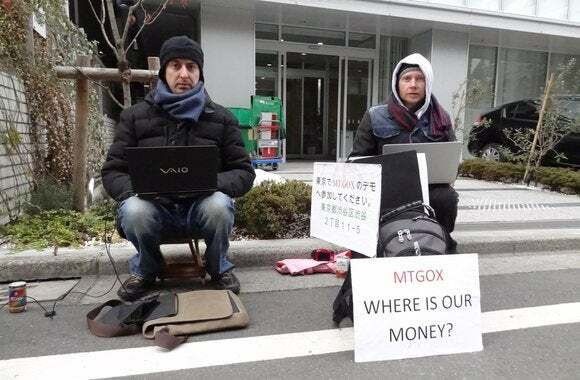 Gox protesters wrote on their online site, which has been the focus of their activity since Tokyo police stopped the street protest in the Shibuya district on Friday. Bitcoin slipped to $418 from a high on Tuesday of $545 on CoinDesk.